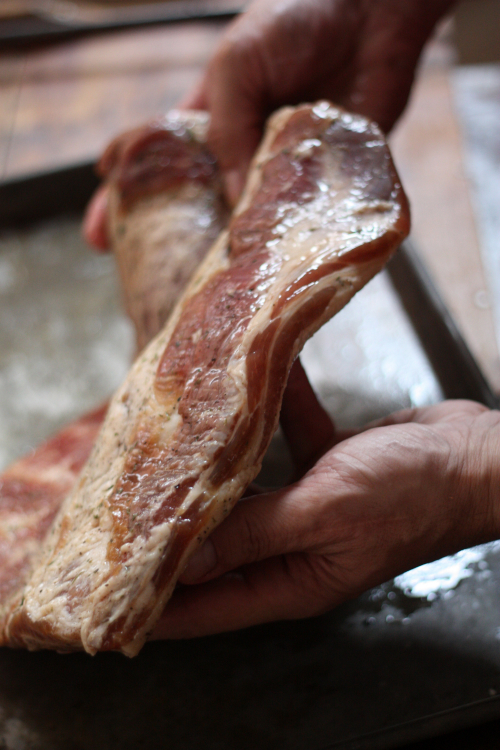 Of course after my recent purchase of a whole pig, bacon was certainly on the agenda for one of the slabs of belly. 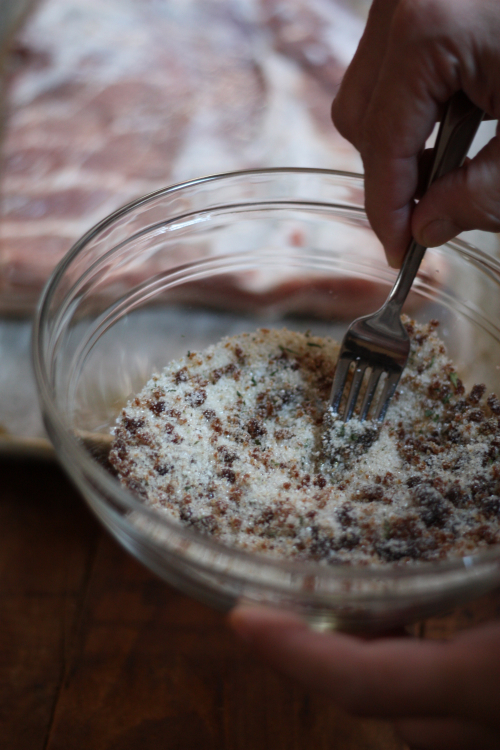 Unfortunately, bacon does not come off the pig ready to go — first you have to cure it, then you need to smoke it! 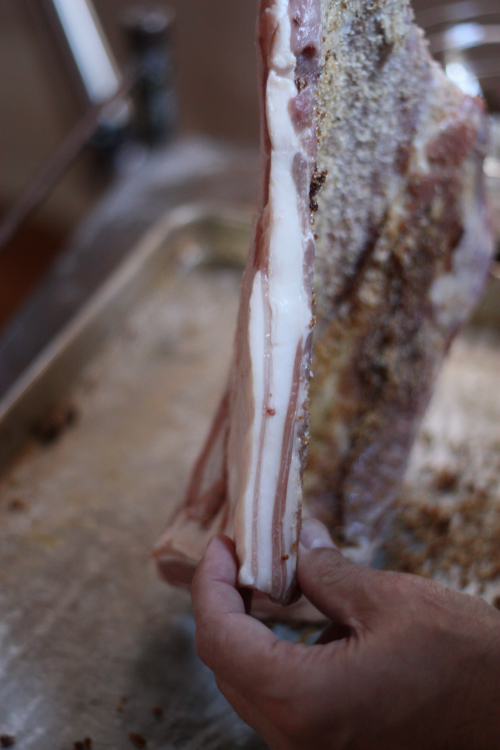 We will walk through how I went about the curing process today and I'll detail in a later post the smoking process. First, I mixed the sugar with the molasses, then added in the salts and pepper, again mixing well. 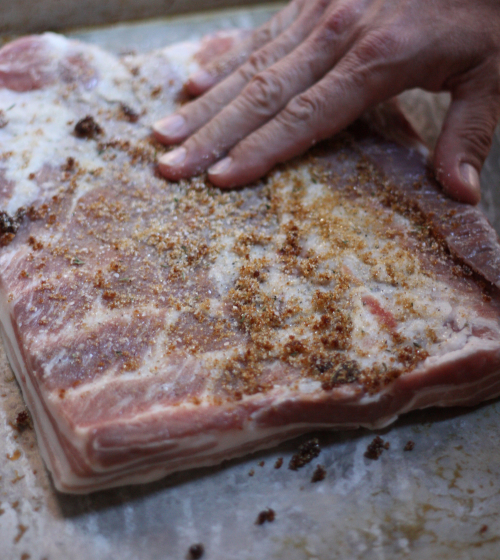 Working on a tray pan, I laid the belly down and began to massage with the curing mixture. I did not really press the mixture into the meat, I simply coated both sides, spreading it in a circular motion until both sides and edges were coated. 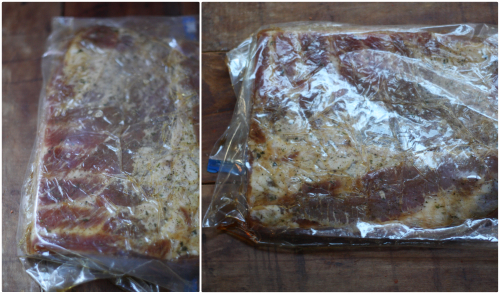 I wrapped the belly tightly in plastic wrap, placed it into a large resealable bag and into the fridge it went. 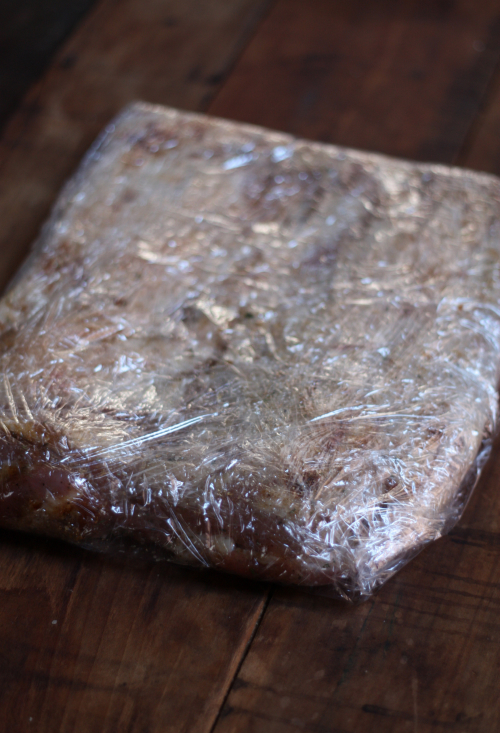 Each day I would go out to massage the meat for a minute or two (while it was still in the bag) and turn it over in the fridge. 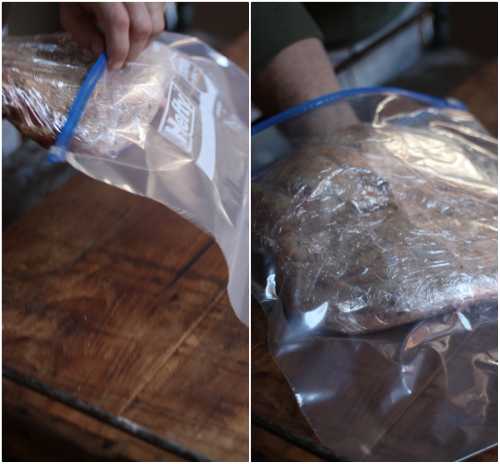 After 3 days you can really start to the see the moisture release in the bag. I continued to visit it for 8 days, massaging and turning. After 8 days, I removed it from the bag and proceeded on to the smoking process. Below is the first shot out of the bag. I am looking forward to sharing the smoking process later in the week. 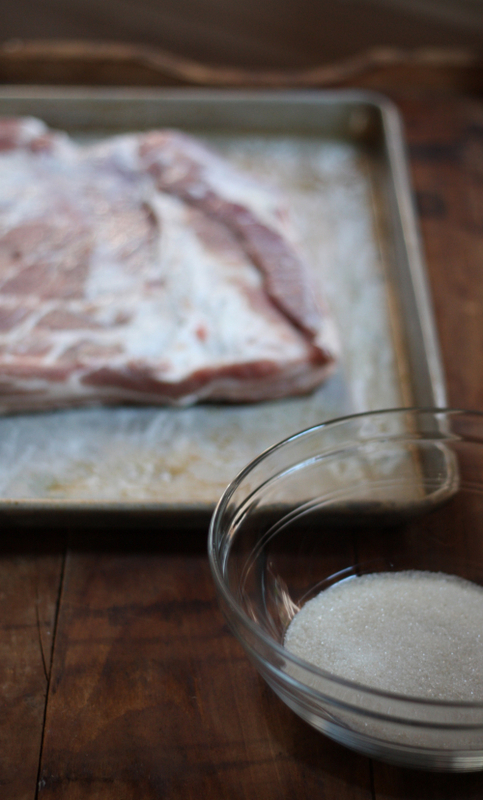 Have you cured your own bacon before and what method do you use? I've cured and smoked a number a bellies following Ruhlman's recipe in Charcuterie which calls for hot smoking. The last time, however, in attempt to recreate Benton's, I upped some of the cure ingredients and opted to cold smoke for about 12 hours. The results - while not as amazing as Benton's - were dramatically better than my previous attempts. So cold smoking it is from now on. Ah... I wish Benton's wasn't so expensive! can a beef cut be used instead? and if so, which do you recommend? i prefer beef bacon. Yes and that cut is called the Plate Steak and that is located under the short rib.